Our LWML Peace Book Club will meet on Friday, January 18th at 7:00 PM in the church library. 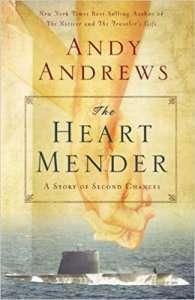 We will be reading, “The Heart Mender” by Andy Andrews, which is a story of forgiveness and reconciliation set in World War II on a beach in the Gulf of Mexico. Please sign up in the Narthex and indicate if you would like to order a book. Books are $12.00 and will be ordered on December 3rd.